This is why baseball games are played on a field and not on paper. The Miami Marlins delivered a hefty punch to the Philadelphia Phillies on Saturday night in Miami, walloping on the visitors in a 10-3 win. Zach Eflin pitched poorly for the Phillies, surrendering three homers and six runs over four innings of work. The start was a bit of a let down considering how solid he was over his first two to start the season. 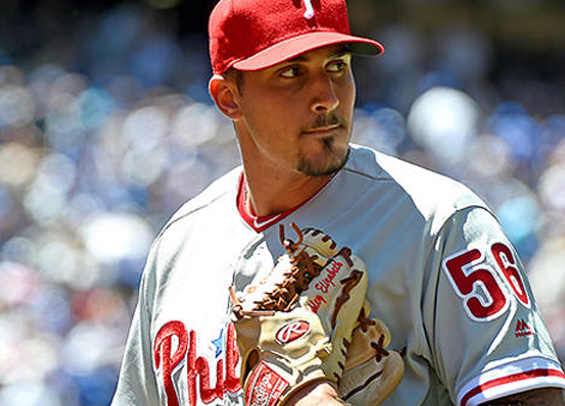 Starting pitching has been a problem for the Phils to open the season. Combined, starters are carrying a 5.04 ERA into Sunday. The Phillies offense sputtered too, collecting just one hit over the first six innings. "We have to do better," Kapler said. The two clubs conclude their three-game set on Sunday afternoon as Vince Velasquez opposes Jose Urena.